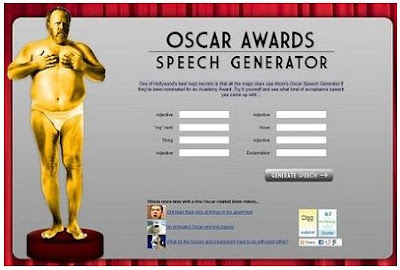 The Generator Blog: Oscar Speech. One of Hollywood's best kept secrets is that all the major stars use Atom's Oscar Speech Generator if they've been nominated for an Academy Award. Try it yourself and see what kind of acceptance speech you come up with.